Six sisters of Mount Carmel were honored in celebration of the anniversary of their religious professions on Saturday, November 3rd with Mass at the Cathedral of St. John the Evangelist and reception at the Cathedral Center, Lafayette, LA. Honorees are Sister Francesca Truxillo (70th), Sister Robert Joseph Mier (70th), Sister Clare Cramer (60th), Sister Paula Marie Derise (60th), Teresa Margaret Toups (60th), and Sister Vera Vives (50th). Father Chester Arceneaux will preside. Sister Francesca Truxillo born Lillian Theresa Truxillo in Paincourtville, LA is the ninth of eleven children of the late Guillaume Joseph Truxillo and Noemie Bernadette Prejean. She entered Carmel in 1945 and professed first vows in 1948. She attended St. Elizabeth Elementary in Paincourtville and graduated from Mount Carmel Academy, New Orleans, LA. She received her bachelor of science degree in Elementary Education from Loyola University, New Orleans and her nursing degree from the Mercy School of Nursing, New Orleans, where she was Salutatorian. Sister taught for 10 years at schools in Abbeville, Paincourtville and New Orleans. After receiving her nursing degree in 1962, she began working at hospitals in Thibodaux, Marrero, Lake Providence and New Orleans. Sister was on staff at Eagan Home Health and Hospice, Covington, LA from 2005-2010. She is certified in cardio-pulmonary resuscitation. 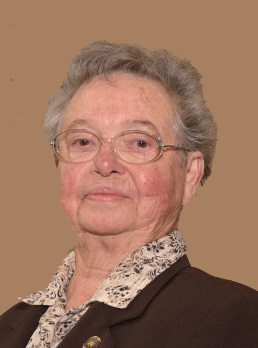 She served on the Carmelite Ministries Board and was a spiritual consultant to Lay Carmelites in Paincourtville and Mandeville. From 2013-2016, Sister Francesca was administrator of the Motherhouse, New Orleans, LA and healthcare consultant to the sisters and their families in the New Orleans area. Sister resides in Lacombe, LA and is on-call for medical assistance. Sister Robert Joseph Mier, born Myrtis Mary Mier in Rayne, LA, is the second of seven children of the late Camile Mier and Edes Landry. She entered Carmel in 1946 and professed first vows in 1948. Sister attended St. Joseph Elementary and St. Joseph High School in Rayne and graduated from Mount Carmel Academy in New Orleans. She received her bachelor of science degree in Education from Loyola University and her master of arts in Special Education from Cardinal Stritch, Milwaukee, WI. Sister devoted 58 years to Catholic education. She has taught at schools in New Orleans, Carencro and Westwego. Sister Robert Joseph was a founding member of St. Michael Special School, New Orleans, LA where she served on the faculty from 1965-2005. She was honored by St. Michael’s for her 40 years of service. After Hurricane Katrina, she taught special students at Our Lady of Fatima in Lafayette. In 2007, she retired from teaching and currently resides at Our Lady of Prompt Succor Nursing Home, Opelousas, LA. Sister Clare Cramer, born Anna Marie Cramer in Crowley, LA, is the first of ten children of the late Jacob H. Cramer and Mary Magdalene Habetz. She entered Carmel in 1955 and professed first vows in 1958. Sister attended St. Joseph Elementary and graduated from St. Joseph High School, Rayne, LA. Sister received a bachelor of science in Secondary Education from St. Mary’s Dominican College, New Orleans, LA and a bachelor of science in Nursing from Louisiana State University, Baton Rouge, LA. 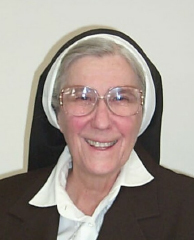 Sister Clare taught at Mount Carmel Academy and St. James Major in New Orleans. After receiving her nursing degree in 1967, she worked in hospitals in Thibodaux and New Orleans and at Rayne Guest Home, Rayne, LA. Sister Clare ministered with the Lakeview Senior Adult Ministry (Ecumenical) in New Orleans as well as with the New Orleans Archdiocesan Social Apostolate at the Incarnate Word Senior Center. 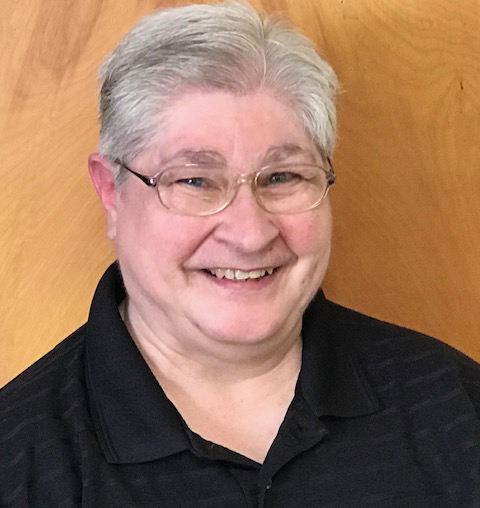 She served as Congregation infirmarian, St. Scholastica Priory infirmarian and St. Mary of the Pines Retirement Center Healthcare Coordinator in Chatawa, MS. Sister was also Chair of the Justice and Peace Fund Board and Mission Effectiveness Representative at Rayne Catholic Elementary. 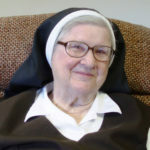 In 2001, Sister was recognized by Sally Ann Roberts on WWL-TV as a “Quiet Hero.” Sister Clare serves as spiritual assistant to Lay Carmelites in Crowley and Rayne, LA and medical consultant and nurse for the Sisters, their families, and friends in Opelousas, Abbeville, and Lafayette where she resides. Sister Paula Marie Derise, born Hilda Marie Derise in Garden City, LA, is the only child of the late Paul Villere Derise and Hilda Breaux. She entered Carmel in 1955 and professed first vows in 1958. Sister attended St. John Academy Elementary, Centerville, LA, Centerville High School and graduated from Mount Carmel High School, Abbeville, LA. Sister Paula devoted 25 years to Catholic education. She taught in New Orleans at St. James Major, St. Dominic and St. Louis King of France; she also ministered in Paincourtville, Thibodaux, Abbeville, LA and Granada Hills, CA. She has served as principal at Mount Carmel Elementary in Abbeville and at St. Euphrasia in Granada Hills, CA. She received a Fulbright Scholarship in 1980. 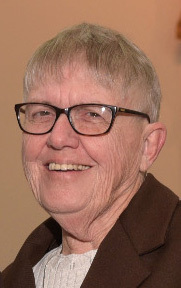 In addition to her teaching experience, Sister Paula has also served as religion coordinator, associate director of religious education, pastoral associate, and congregation assistant finance officer, executive councilor, development director, administrator of the Motherhouse, coordinator of the retired sisters, and Lacombe property administrator. Sister was the Director of Religious Education at St. Angela Merici, Metairie, LA from 2004-2014. Sister Paula works as a Chaplain for Notre Dame Hospice, New Orleans, LA. Sister Teresa Margaret Toups, born Marie Geraldine Toups in Maurice, LA is the youngest of six children of the late Ernest Toups Sr. and Marie Simonia Toups. She entered Carmel in 1955 and professed first vows in 1958. Sister attended Central Grammar Elementary and Mount Carmel in Lafayette, LA and graduated from Mount Carmel Academy, New Orleans, LA. She received her Bachelor of Arts degree in Elementary Education from St. Mary’s Dominican College, New Orleans. 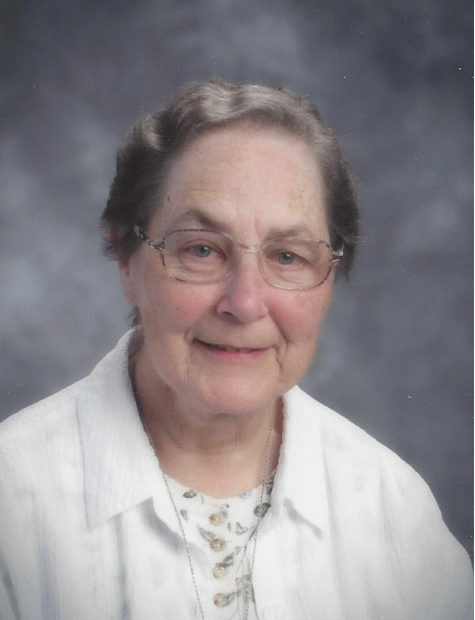 Sister has devoted 50 years to Catholic education teaching at St. Dominic and St. Louis King of France, New Orleans, Our Lady of Prompt Succor, Westwego, LA, St. Joseph, Rayne Catholic Elementary, Rayne, LA and Cathedral-Carmel Elementary, Lafayette, LA. She received the Diocesan Outstanding Teacher of the Year 1999-2000 when serving at Cathedral-Carmel. Sister Teresa Margaret currently serves as a volunteer at Cathedral-Carmel Elementary in the art department. Sister Vera Vives, formerly Sister Mary Virginia Vives, is the youngest of three children born in Thibodaux, LA to the late Van Joseph Vives and Marie Vivian Toups. She entered Carmel in 1965 and professed first vows in 1968. Sister graduated from Mount Carmel Academy in Thibodaux, LA and received her bachelors’ degree in Education from Nicholls State, Thibodaux, LA in 1974. She did post graduate work at the University of St. Thomas and Notre Dame Seminary. Sister Vera was library assistant at Xavier Prep High School, New Orleans, LA and taught at St. Joseph the Worker School, Marrero, LA, St. Joseph, Thibodaux, LA, and St. Dominic Elementary, New Orleans, LA . She served as the Congregation’s health care assistant at the Motherhouse infirmary and assisted in the host department at the Motherhouse. Sister Vera resides in Lafayette, LA and is driver and assistant to our senior sisters at St. Leo Convent.